Man, I love home baked bread. I couldn’t wait for it to rest. I freakin cut it straight out of the oven. Yum. Beautiful! Can you post the recipe? I love fresh warm homemade bread also, especially the crusty type like in your pix! Yum. 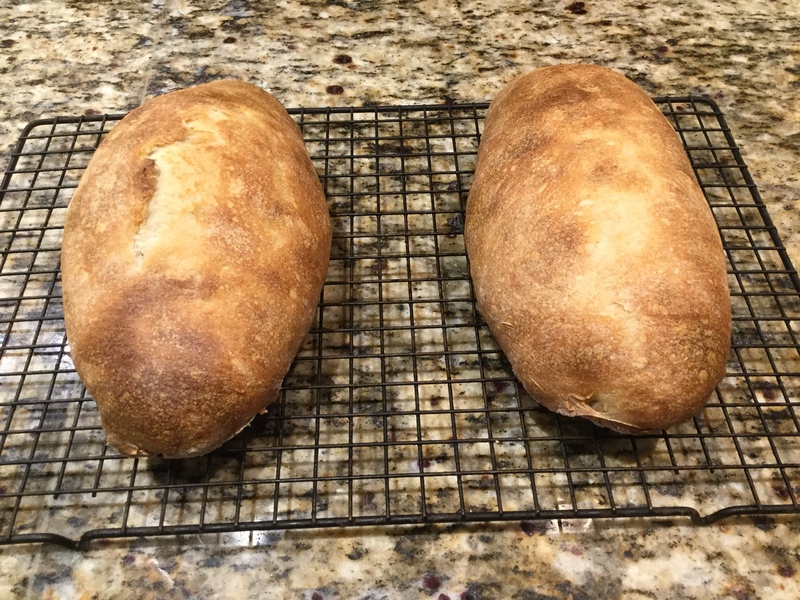 Fresh baked bread is hard to beat. What percentage of hydration do you use? How long do you ferment? Do you do a cold fermentation? Looks great! I made focaccia last week. 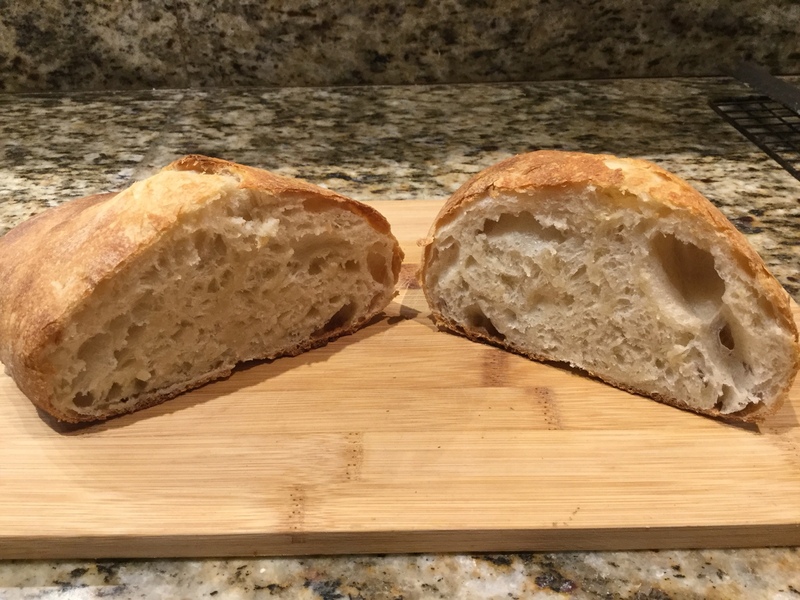 I used room temp ferment ~ 24 hrs. 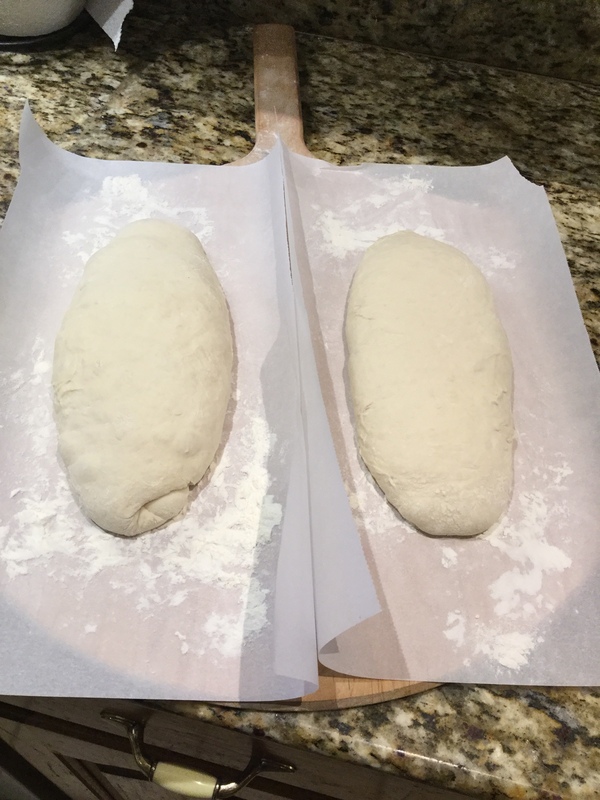 Only thing I like more than homemade beer is homemade bread. This bread looks PHENOMENAL. I bow to thee.